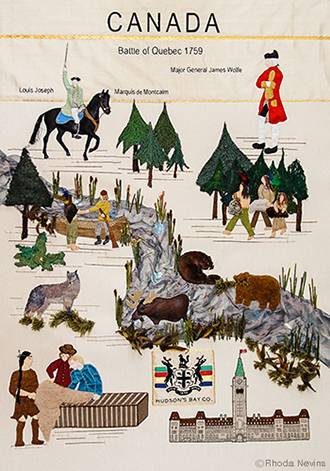 On this website you will find lots of information about the embroideries and our great online store to buy the Magna Carta Embroidery Book and other souvenirs. 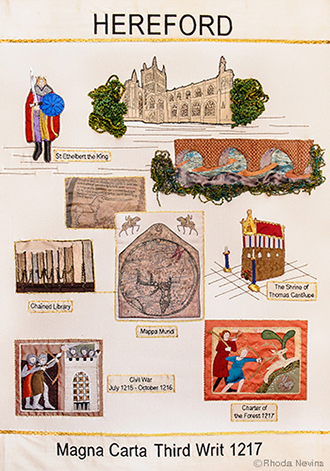 Rhoda Nevins, who created the twelve embroidery panels, worked with a team of volunteers for more than three years to get them ready for the Magna Carta 800th Anniversary. 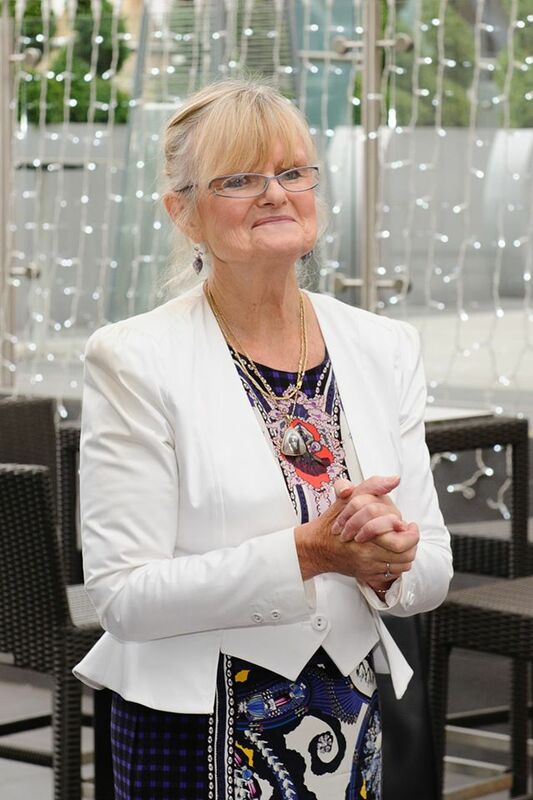 The project has been a labour of love and Rhoda and team worked tirelessly to get the embroideries completed. 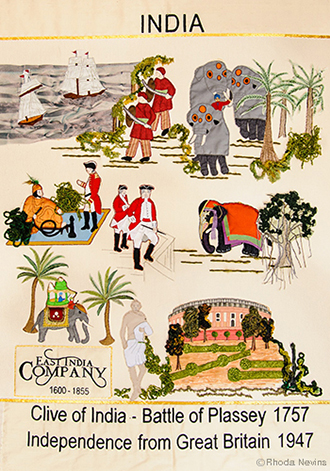 They have now been framed to museum and conservation standard and are fine works of art and show all the different types of embroidery from black stitch to gold work. 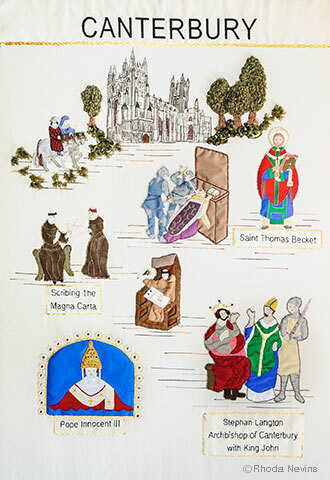 These embroideries are works of art that tell the story of how the Magna Carta came about and how the principles lead to the spread of law and order throughout the world. 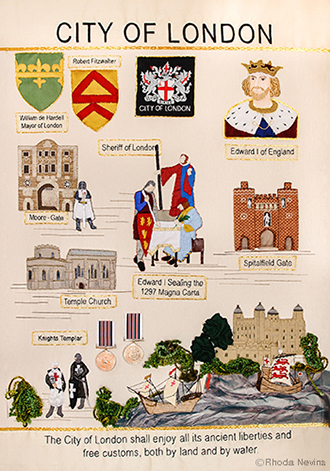 Six of the panels tell the stories of the events leading up to the sealing of this historic document in various charter towns in the UK, City of London, St Albans, Hereford, Bury St Edmunds, Cantebury and of course Runnymede. 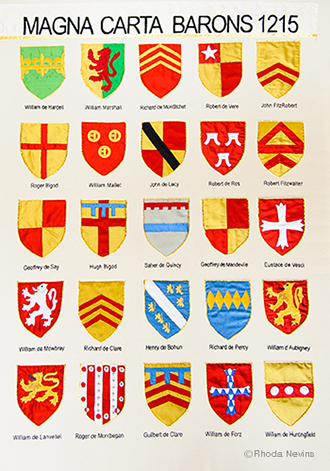 One panel depicts the shields of the twenty five Barons, who alongside the Archibishop of Cantebury, Stephen Langton, persuaded King John to seal the Magna Carta. 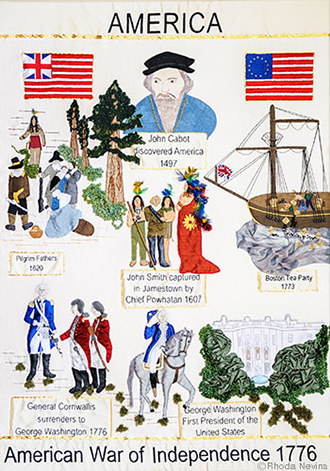 The other six panels tell the story of how the Magna Carta spread law and order throughout the commonwealth and former British Colonies. 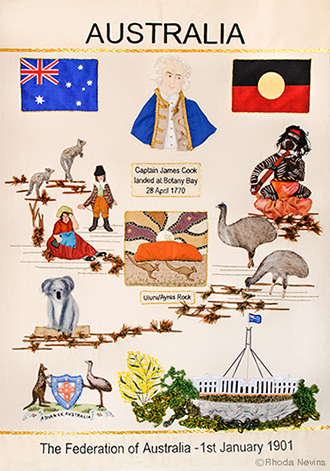 There are panels for the United States of America, Canada, Australia, India and South Africa. 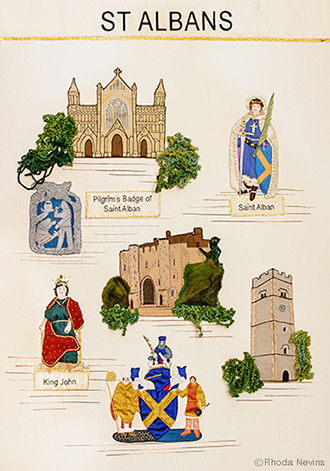 There is a range of commemorative memorabilia, including the Magna Carta Embroidery Book available through the online store, there are also postcards of all the embroideries, key rings, fridge magnets and tea towels for sale. 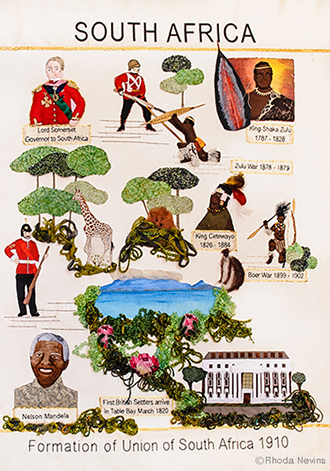 Find out where you can see the embroideries at various events, museums, throughout the UK. 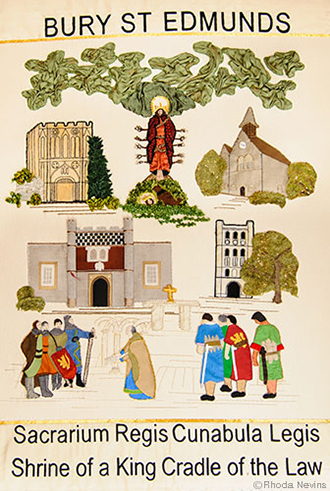 To book an event or if would like Rhoda Nevins speak about the Magna Carta Embroidery please contact us. 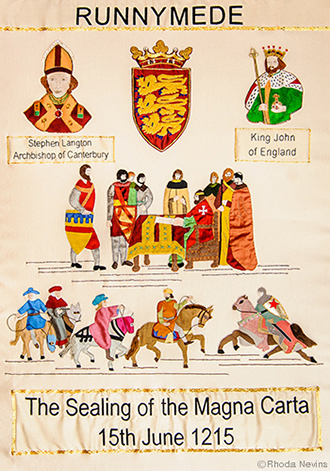 Get Magna Carta Embroidery merchandise today.